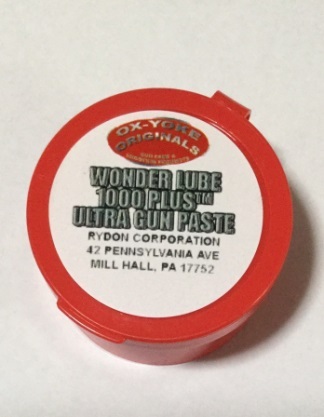 Ultra Gun Paste now includes micro-fine graphite for improved lubrication and corrosion protection. Great for seasoning black powder barrels, and a good overall conditioner for all metal parts of both black powder and modern guns. 1 oz tub.